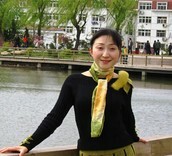 Lu Zhang is an Assistant Professor of Sociology and a faculty member in the Global Studies Program at Temple University. She will be presenting her new Cambridge University Press book, which explores the current conditions, subjectivity, and collective actions of autoworkers in the world's largest and fastest-growing automobile manufacturing nation. Based on years of fieldwork and extensive interviews conducted at seven large auto factories in various regions of China, Zhang provides an inside look at the daily factory life of autoworkers and a deeper understanding of the roots of rising labor unrest in the auto industry. Combining original empirical data and sophisticated analysis that moves from the shop floor to national political economy and global industry dynamics, the book, which received an honorable mention from the American Sociological Association, develops a multilayered framework for understanding how labor relations in the auto industry and broader social economy can be expected to develop in China in the coming decades. Professor Zhang will be joined by Professor Immanuel Ness who will lead discussion on the book and its implications. Immanuel Ness is a professor of Political Science at Brooklyn College of the City University of New York. His research focuses on labor organization and mobilization, migration, and resistance. Co Sponsored by the Global Studies Program, the Department of Sociology, and the Asian Studies Program.